ENKAY Rock Tamers™ adjustable mud flaps came to the attention of Cruiser Accessories when Todd Spencer needed a system to protect his tow vehicles. The product exceeded his expectations and Cruiser Accessories negotiated an exclusive manufacturing and distribution license. The history of ENKAY Products date back to 1994, when Neil Knoer had an idea for a removable mudflap system. For years, rock damage kept claiming the gel coat of his prized tournament boat, the trailer frame took a beating, and the paint started peeling and chipping. The front of the fifth wheel trailer was equally as difficult to protect from road damage. 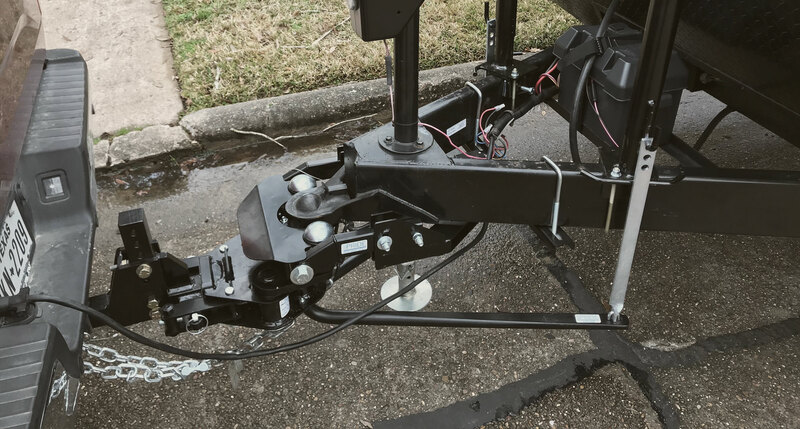 After investing in the costly gel coat repair, and fixing the dings on the fifth wheel, he sought a way to provide additional protection from road damage while towing these expensive investments. Neil determined bigger mudflaps, attached near the bumper and further away from the rear wheels of the truck, would help reduce rock damage. As an avid car and truck enthusiast, permanently attached mudflaps were not an option. No drilling or welding on any truck was acceptable. Neil spent countless hours designing and building his first removable set of mudflaps. Encouraged by the number of friends and family who saw them and wanted a set made for them, Neil forged ahead with his idea with the firm belief that there was a need for this type of a product and nothing like it existed in the current marketplace. Many designs and prototypes later, the patented ENKAY system is the only adjustable and removable mudflap system designed for use on any full size truck utilizing a ball mount and receiver hitch. ENKAY Rock Tamers™ are the ultimate adjustable and removable mudflap system. The workmanship and design considerations translate into a truly unique product.